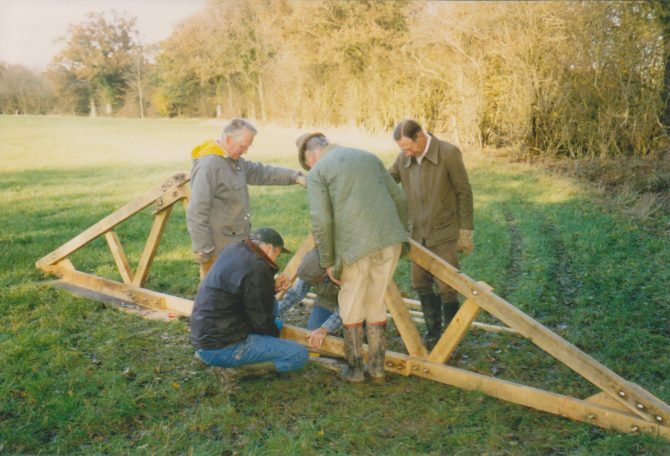 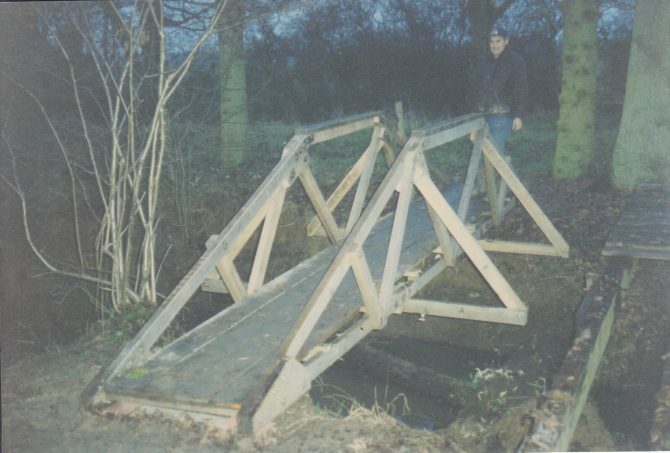 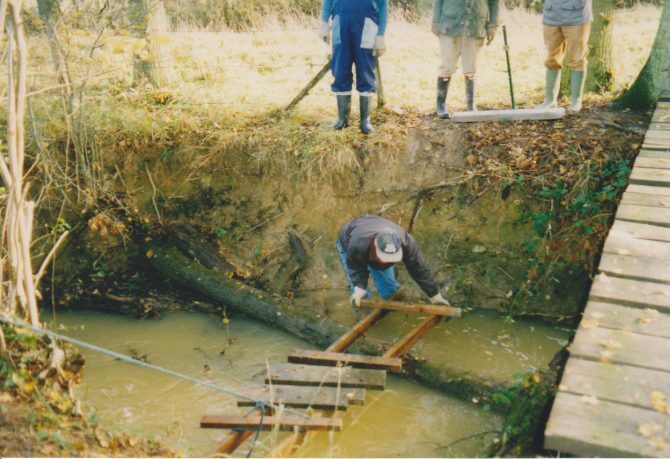 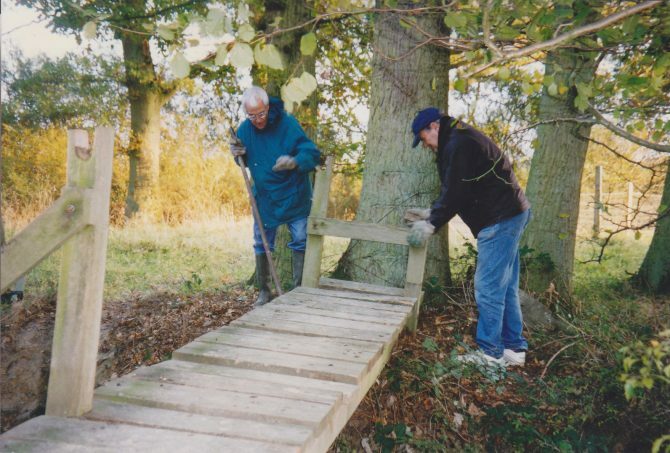 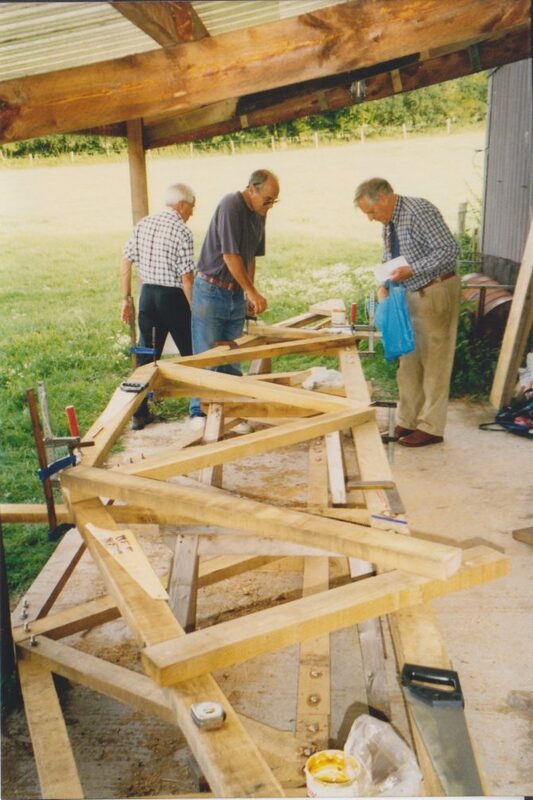 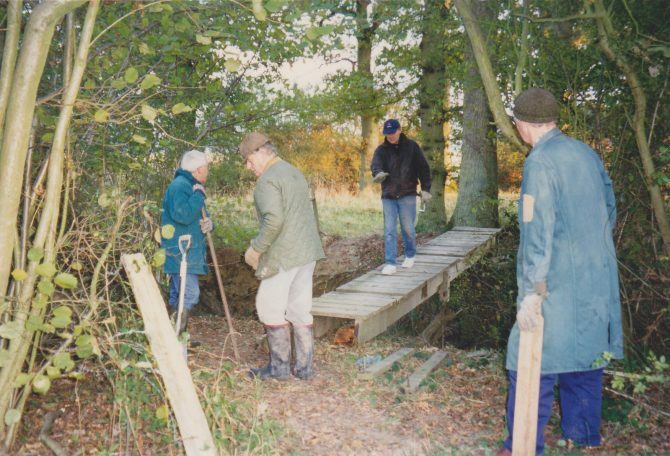 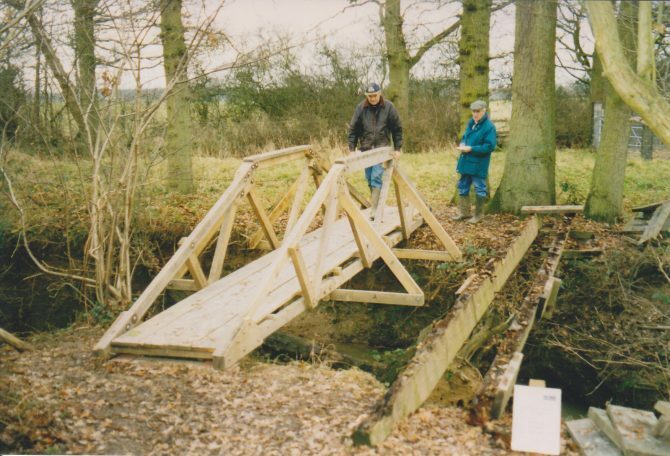 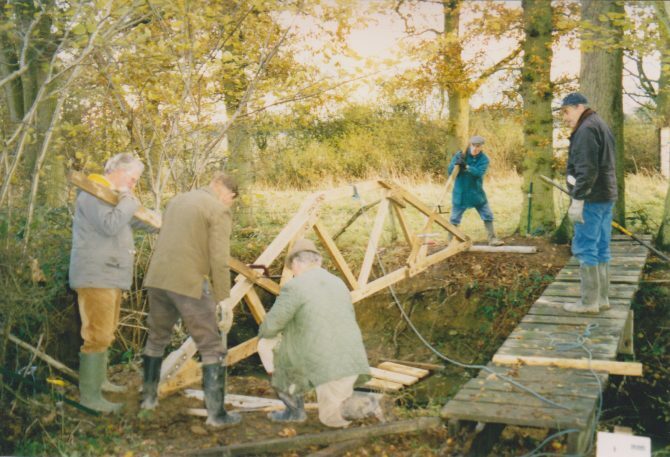 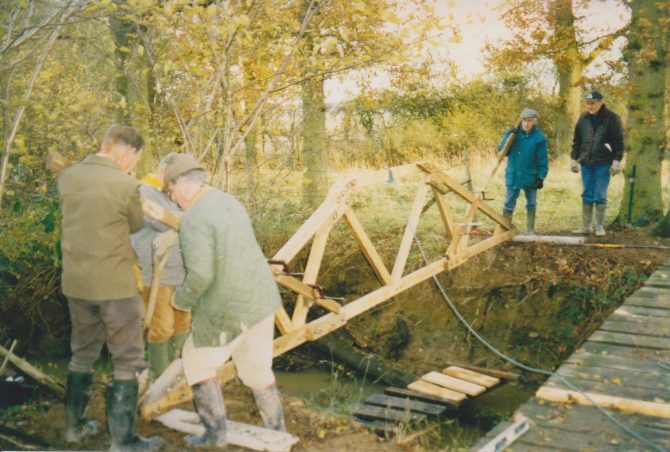 The Bridge at Chailey was constructed in Autumn 1997 (for construction details, see below photos). 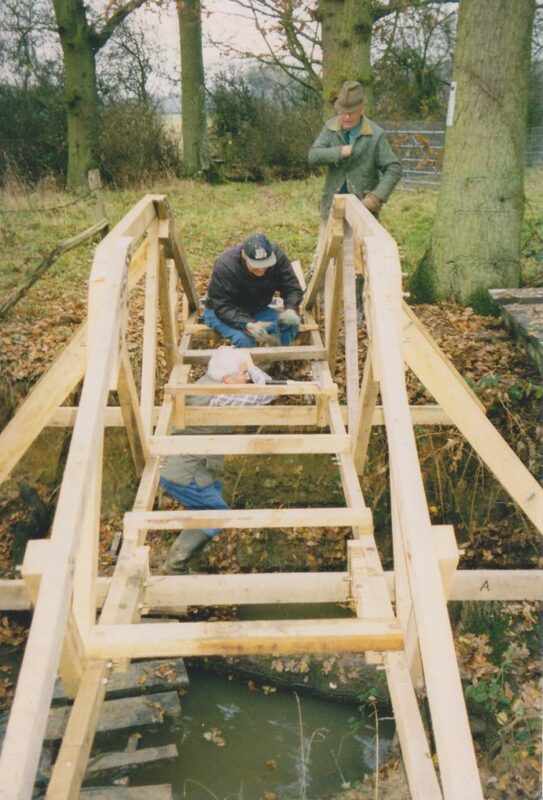 For a better image of each stage, pick a photo. 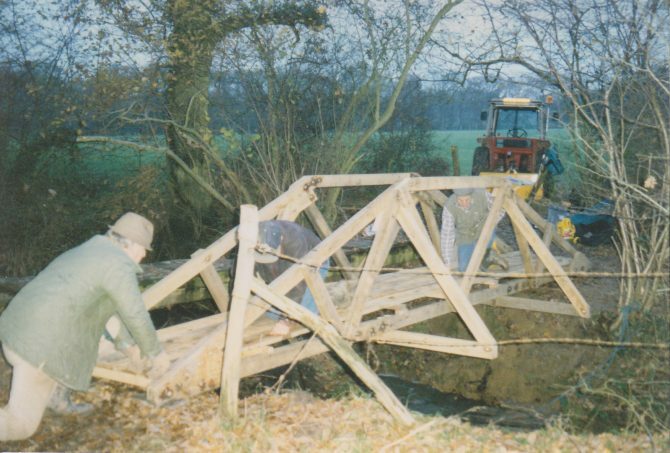 in stages – dilapidated but not light! 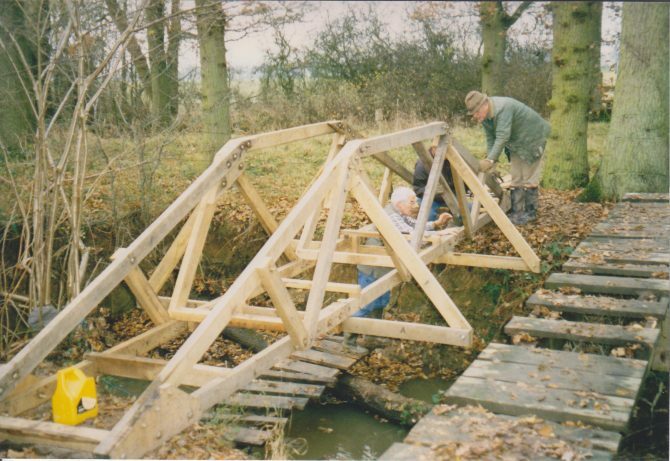 The decking consisting of timbers made into a mini-bowstring beam is in place. 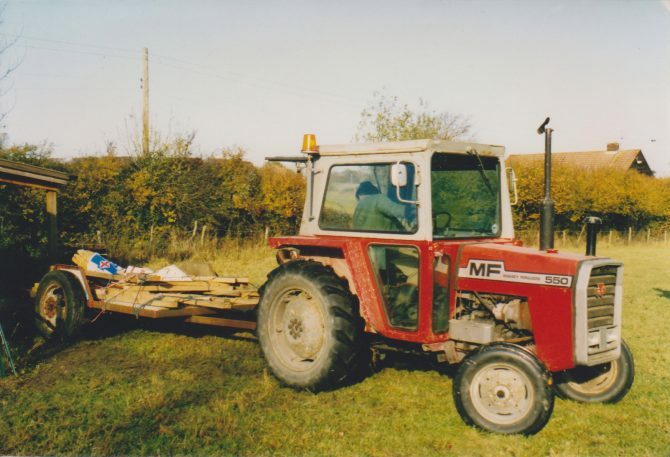 Twilight!